Lincat pizza ovens are built to the highest specifications. Featuring a firebrick base for crisp even cooking, they are perfect for deep pan, thin crust fresh dough part baked or frozen pizzas. 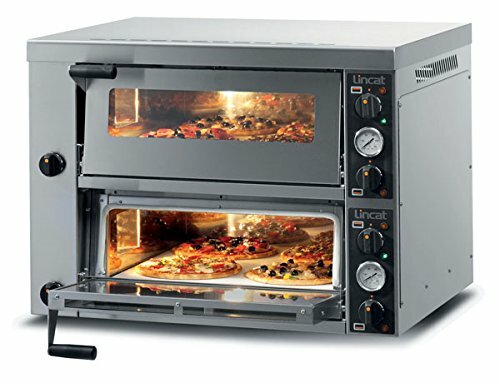 Lincat pizza ovens are also ideal for cooking a variety of other foods such as ciabatta, naan and garlic bread, also lasagne, jacket potatoes, pies and pastries. The range also includes a simple grill-style pizza oven, useful refrigerated preparation station, and for tempting display of cooked pizza, choose from our extensive Seal range of heated food display products.